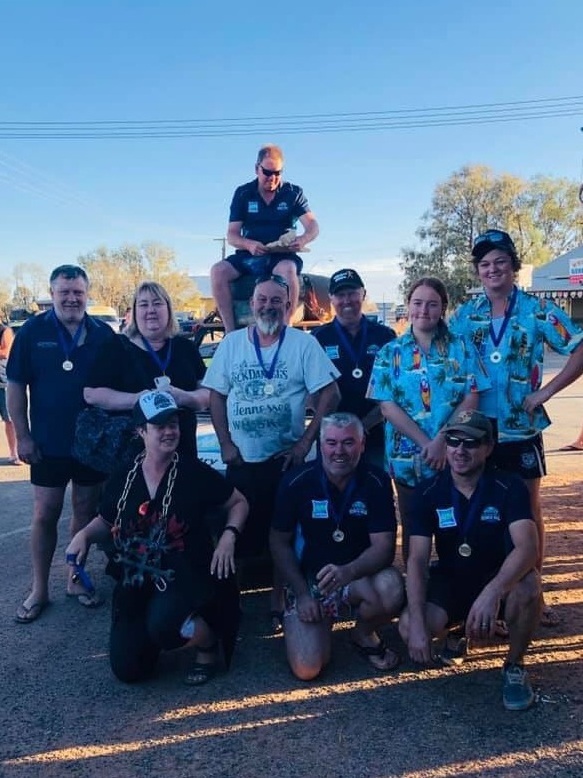 The 2019 Riverina Redneck Rally A Phenomenal Success! The 2019 Riverina Redneck Rally is done and dusted and these wonderful people have raised over $330,000 for Country Hope. It takes their total fundraising for us to over $700,000 in three years! This is an incredible achievement and one that makes us both humble and forever thankful. Gavin and Tammy Gilbert (pictured) have made this event their own and to be part of the final evening at Hay was a tremendous honour. To meet entrants from as far away as Grafton was amazing. Their mateship and their spirit is closely aligned to the courage shown by our families when facing the challenges presented to them. Some of the individual teams raised over $15,000 when they are only required to raise $2,500 to be part of the Rally. Along the way around the track, these wonderful people also raised $1,200 for the Royal Flying Doctor Service, $560 plus books and gift bags to the Tibooburra School, $1,365 for the family of one of the entrants who have a son diagnosed with cancer, $5,000 for two families in Balranald who have children diagnosed with cancer plus books and gift bags for the Pooncarie and White Cliffs schools. Absolutely amazing! Thank you to everyone involved and good health from all of us at Country Hope.